Gary Neville has suggested that Liverpool could win the Premier League, whereas disaster awaits Manchester United this season. Manchester United and Liverpool share the biggest rivalry in English Football. But both sides seem to have gone into a slump over the past couple of years. 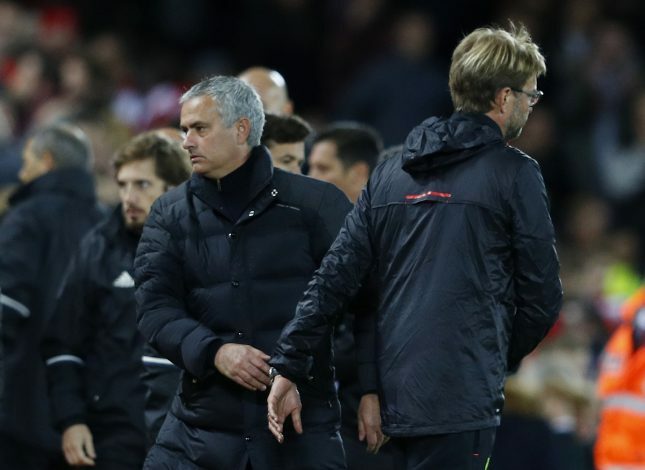 The Red Devils have failed to recover from Sir Alex Ferguson’s retirement, while Jurgen Klopp is yet to enable the Premier League fighting spirit in his squad. Liverpool have made a number of acquisitions this summer. The Merseysiders added Naby Keita and Fabinho to strengthen their midfield significantly. Brazilian goalkeeper Allison was brought in to replace the error-prone Karius, and Shaqiri to provide back-up for the wingers. On the other hand, Manchester United have failed to complete any significant move apart from Fred. Jose Mourinho is still looking to add a centre-back to his squad. The Portuguese boss also wanted a striker to provide back-up for Romelu Lukaku, but has given up on it, seeing the slow transfer business at Old Trafford. At the moment, Manchester City are still the favourites to win the Premier League once again, but Gary Neville suggests that Liverpool could challenge them this season. The Manchester United veteran also joked that 40 points would be enough for his former club, via a tweet from his official Twitter account. Meanwhile, Jose Mourinho remains frustrated by Manchester United officials, and he has a valid reason for that. The United gaffer had submitted the names of the players he wanted before leaving to commentate at the World Cup. But it seems like the club officials forgot about their transfer duties, and have put the Red Devils in a dangerous situation. Harry Maguire could be on his way to Old Trafford to partner Eric Bailly in defence, but Leicester City are firm about the £60 million valuation. United are also interested in Yerry Mina, as Barcelona look to offload the Colombian this summer.